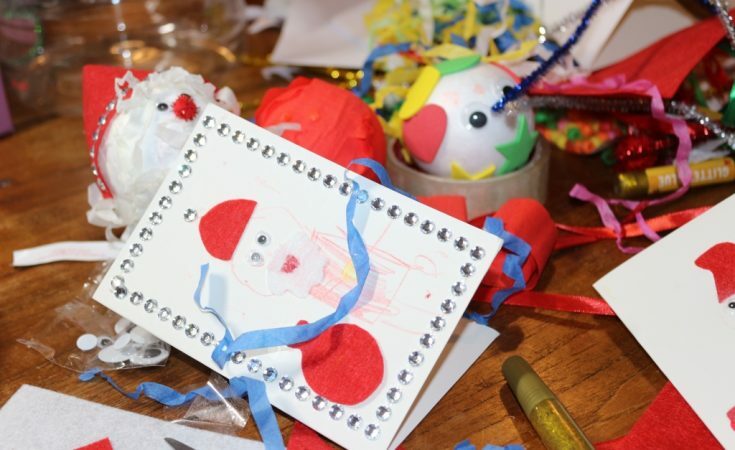 If you’re wondering how you’ll fill the impending school holidays, then you might be interested to know that Aldi are selling Christmas-themed craft kits and crafty gifts to keep kids of all ages busy. 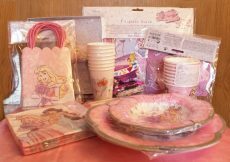 We were sent some bits from the new Aldi Specialbuys range, which is available online and in some stores, although they didn’t have them in my local Aldi when I checked earlier this week. 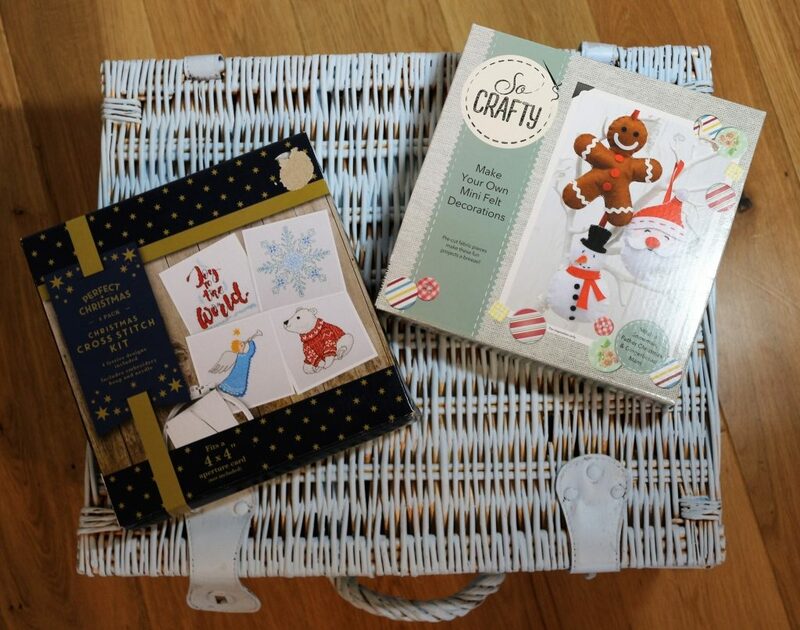 We were sent some of the Christmas craft kits to take a look at! 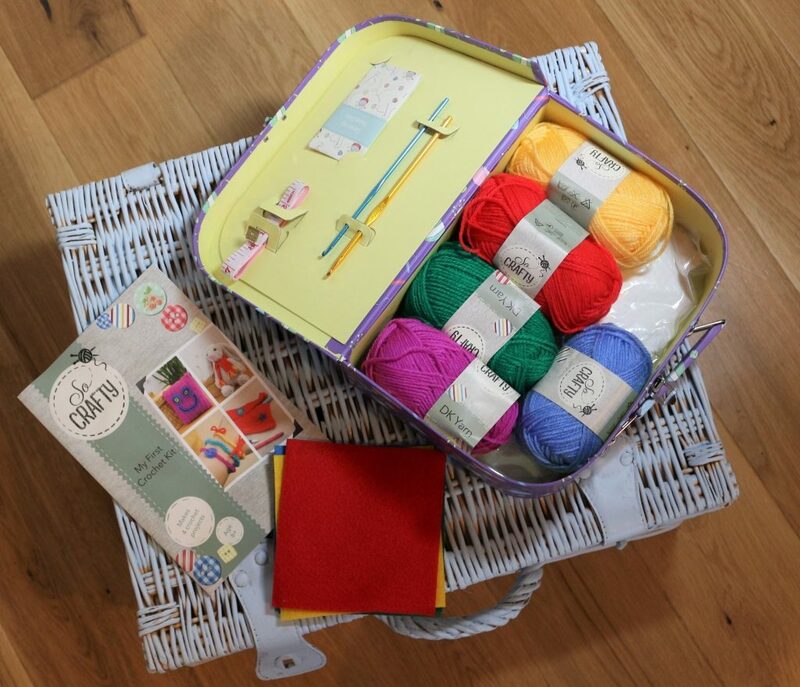 The So Crafty ‘My First Crochet’ and ‘My First Sewing’ kits cost £8.99 each and come in a cute colourful little case. 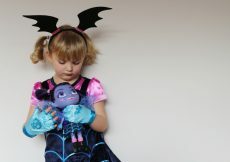 They are aimed at children aged 8 and over, and contain everything you need to do small crochet or sewing projects including the materials, tools and instructions. 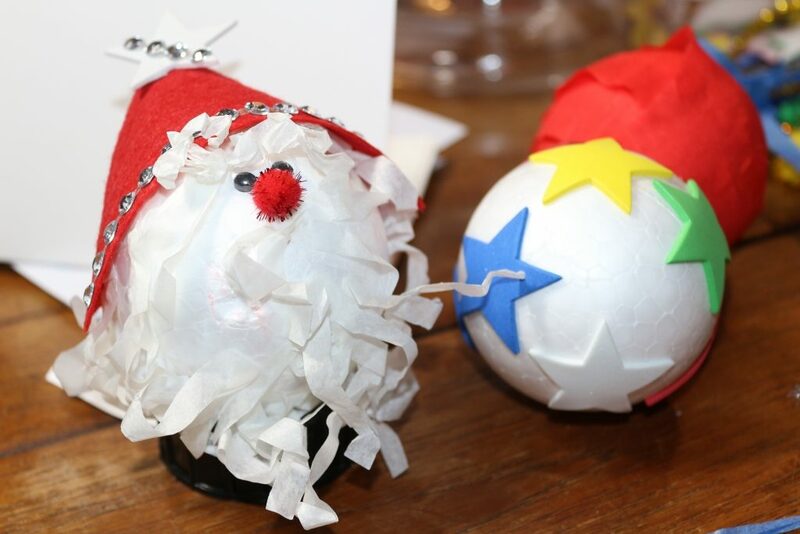 If you know a child that likes crafting, these would make a lovely Christmas present. 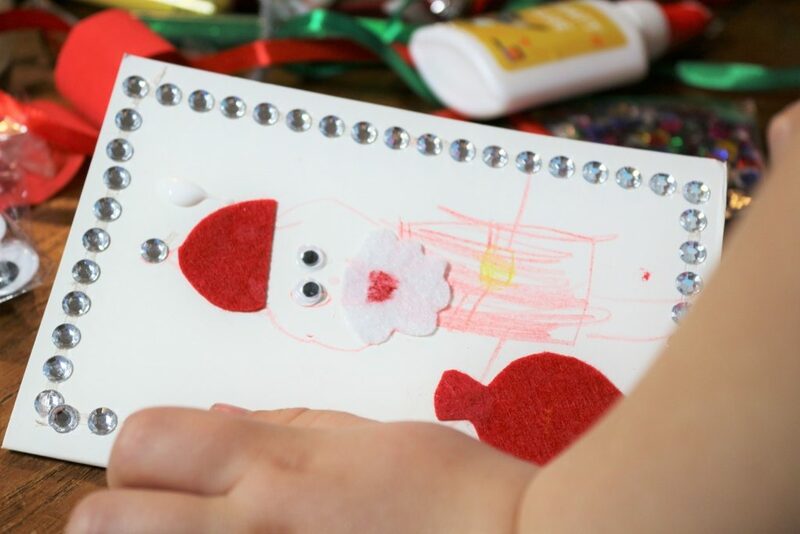 If you want something to keep them entertained in the week before Christmas they can get busy learning a new skill and making decorations for the tree. The case can be used to hold everything making it easy to tidy away, too. 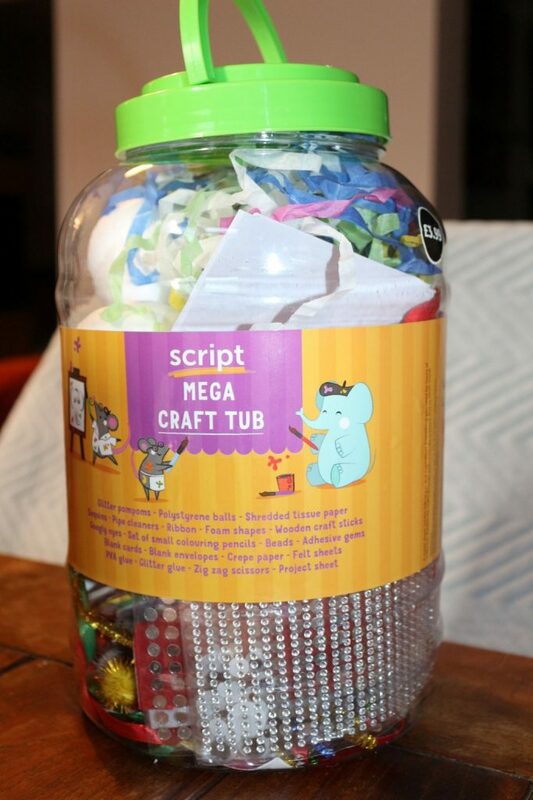 For younger children, the So Crafty Mega Crafting Tub is great! 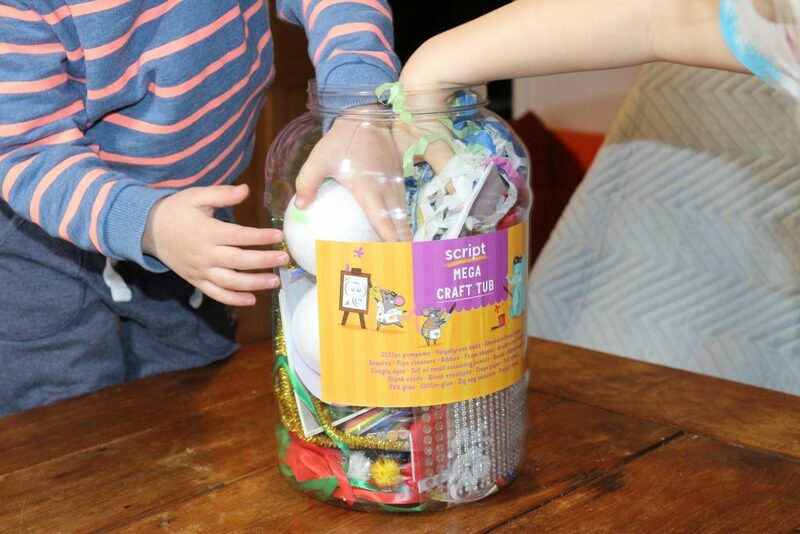 For £3.99, you get an exciting tub full of craft items including five polystyrene baubles, streamers, felt, glitter, glue, googly eyes, pom poms, ribbons, cards and envelopes, beads, sequins and adhesive gems. 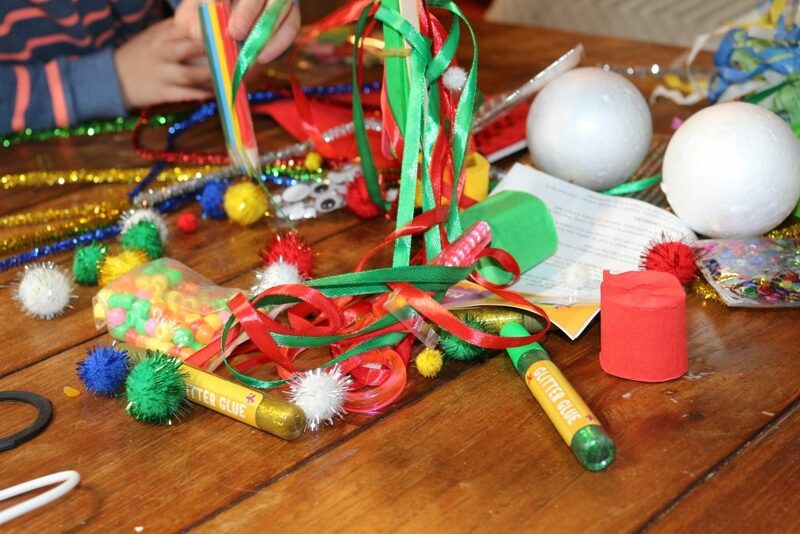 It’s the perfect kit for making Christmas baubles and cards and the kids really enjoyed being let loose on the contents! 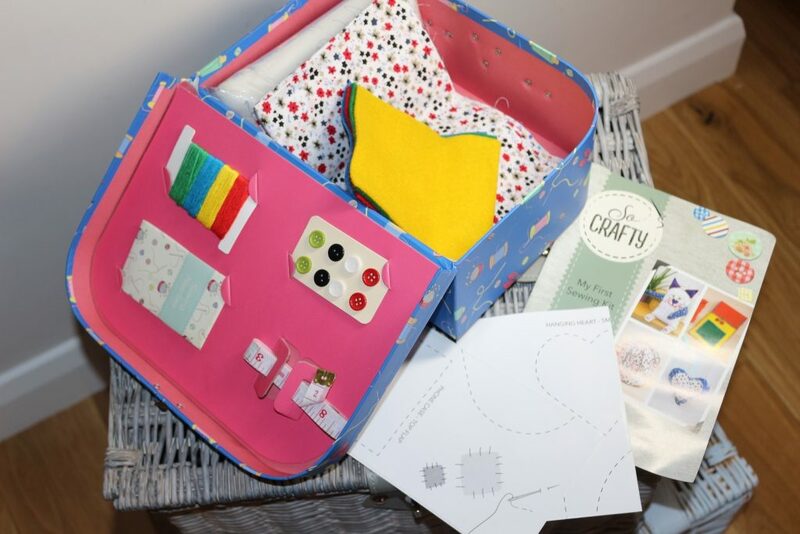 The tub itself is handy for storing all those little bits that you suspect might come in handy for crafts one day so you don’t want to throw away – we’ll be keeping it for the next rainy day! At £2.99 each, these little cross stitch and felt decoration kits would make nice little Secret Santa gifts. They’d also be good projects for slightly older children who want to make handmade Christmas gifts for their friends or relatives. The felt decoration kit comes with everything you need to make three hanging festive decorations, and the cross stitch kit contains enough to make four cute Christmas cross stitches. I’ve heard that cross stitch can be relaxing so I’m going to give these a bash myself! 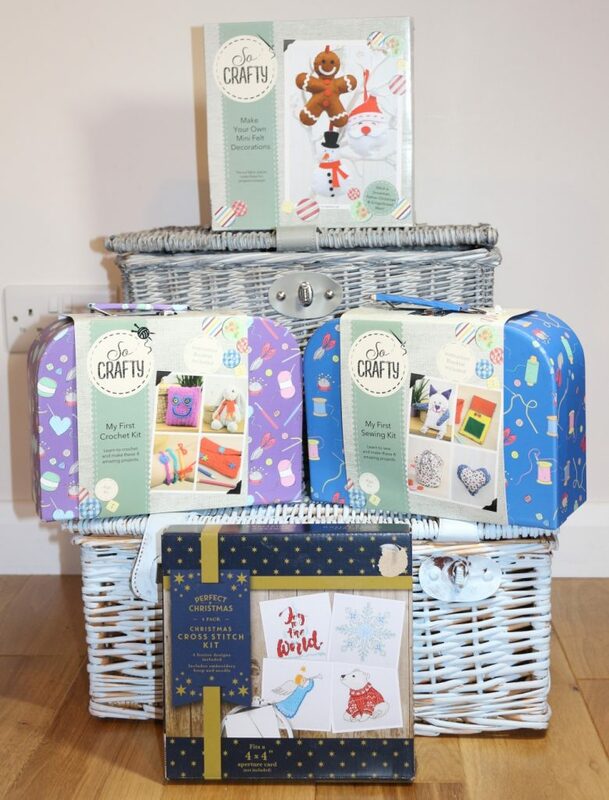 Be sure to keep an eye out in your local Aldi in the Specialbuys section for the rest of the craft range; there are plenty of ideas to keep children of all ages amused and they’re all really well priced. 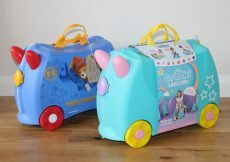 Take a look on the Aldi website here to see the whole range of arts and crafts; delivery is free on purchases over £20. We received these craft products from Aldi for free for this post, but pictures and words are my own.